Premier protects the health of your business and your employees with on-time, affordable remediation services. Recognized by the Environmental Protection Agency as a leading indoor contaminant, mold is not just unsightly—it can also be a serious health concern. Commercial mold damage in Hawaii is rampant due to the humid climate and the island’s aging infrastructure. Mold in your building or facility affects not only your workers’ health and productivity but also your customers’ and/or tenants’ experience. With your business on the line, it is important to make mold removal and remediation a priority. 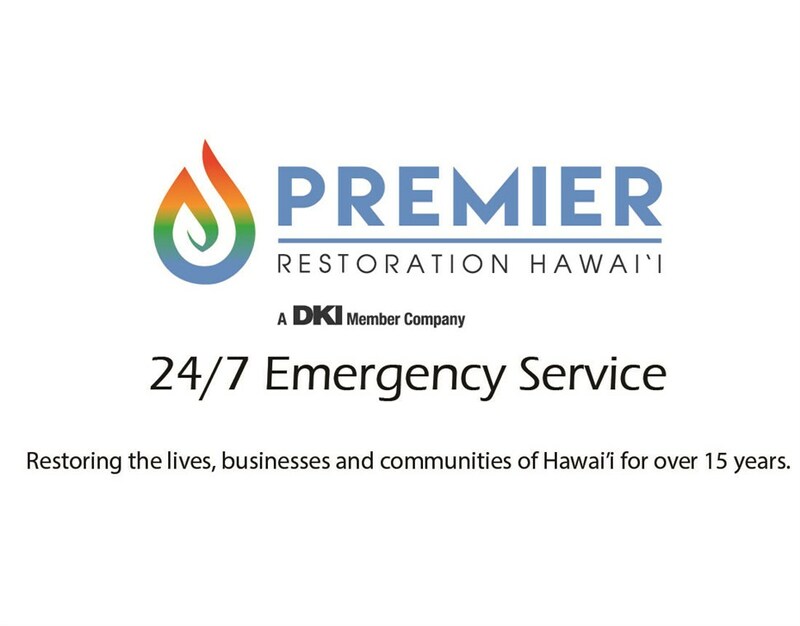 For over 15 years, Premier Restoration Hawaii has offered leading mold removal and remediation services in Hawaii. With 15 certifications from the Institute of Inspection, Cleaning, and Restoration Certification (IICRC), no job is too big for our expert team. From a single office closet space to hotels with hundreds of rooms, we provide the same quality of clean, efficient, and cost-effective services for any commercial mold removal in Hawaii. At Premier Restoration Hawaii, we understand the dangers of mold to your business. Our technicians are expertly trained for the most effective commercial mold extraction in Hawaii. From removing drywall to wet-wiping with anti-microbial solutions, we’ll make sure your commercial mold damage is completely reversed. Safety: With Tyvek® coveralls, air-purifying respirators, and heavy tarping, we ensure a safe process for our technicians and for you. Technology: State-of-the-art air scrubbers and HEPA-filtered vacuums prevent the spread of dangerous mold spores. Prevention: Upon request, we’ll apply an anti-microbial paint to slow or eliminate future mold growth. Quality control: Every project begins and ends with third-party testing, so you can have confidence that your treatment is effective. When you’re experiencing mold in your building or facility, you don’t have time to waste on slow services. If you’re in need of the most reliable mold removal and remediation in Hawaii, take the first step towards a healthier environment by calling us today. You can also complete our quick online form to arrange for your free consultation and quote!